[post_content] => In the United States one of my favorite things to do is go on hikes - short hikes, long ones, mountainous hikes, or flat ones, ones with views at the end, or just a walk in the woods. One of the best ways I have found to interact with nature in the U.S. is just to walk through it. When we got to Kenya, I became excited to see the wildlife. My mind was on elephants, lions, leopards, and nothing else. We took our first expedition to Amboseli National Park, where we remained in the vehicles while inside the park, observing from behind windows and opened roofs. In previous trips to the continent, I have also done safaris, sitting comfortably in the cars while you drive close to animals and photograph their behavior. I began to think, this is the extent of tourism in this part of the world. It must be too dangerous for walking, or maybe it would be different in the U.S. if it weren’t for the fewer species of wildlife. But I found out that’s not the case. 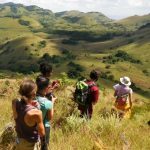 Our expedition to the Chyulu Hills and Tsavo West National Parks saw two hikes, with outstanding views, steep climbs, and everything I experience in an American hike. 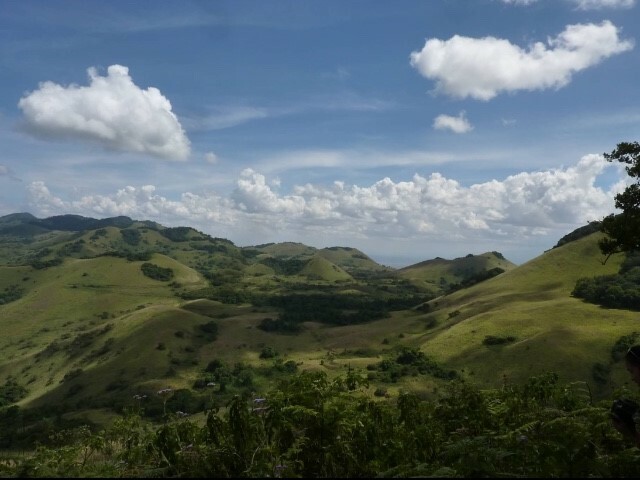 In Chyulu, we drove to a hill that boasted 360° views of the gorgeous greenery. It was cold up there, with sweeping winds and few animals and the trees covering some areas like a dense rainforest. 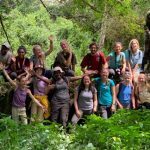 I wasn’t disappointed that we didn’t see wildlife on our hike; I wasn’t bummed out that this wasn’t a stereotypical East African adventure, because this was Africa, real and beautiful. Immersed in trees so spread you could hardly see the sky, and then grasses waving in the high altitude wind, they would part just so you could walk through them. Later on, in Tsavo, we had the chance to do another hike. This time the temperatures fit more closely to an almost equatorial standard, but that didn’t matter. 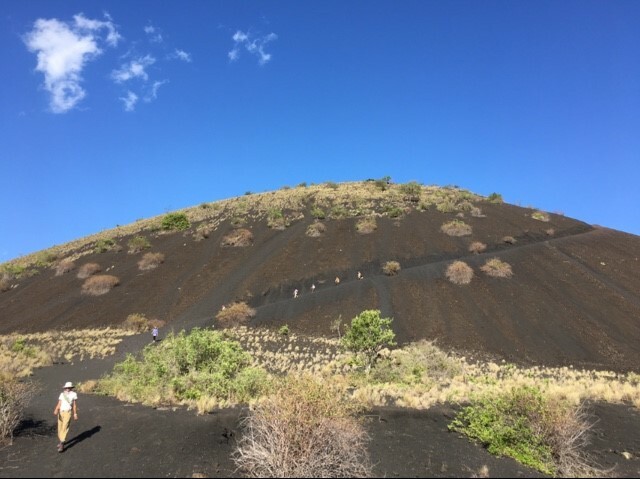 We walked on the edge of a pile of volcanic rock, winding around the mound until we reached the top and glared over what felt like the entire Amboseli-Tsavo Ecosystem. From above, we saw a few buffalo off in the distance, disguised within the bush, but up there it was just wind, landscape and rocks. And it was beautiful. Kenya is so much more than just wildlife. I felt as though we were experiencing something an East African tourist would never see. 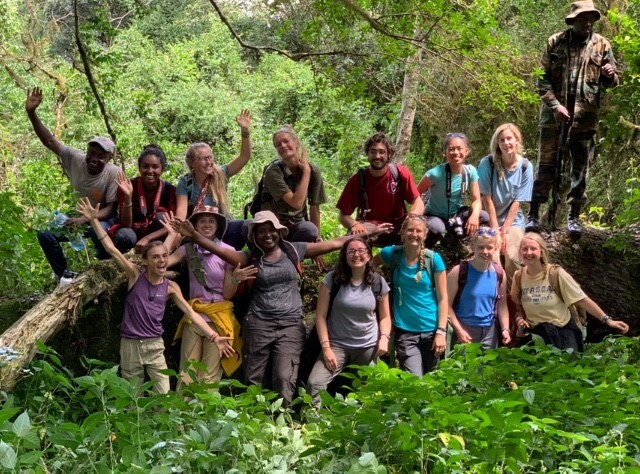 After our trip to Chyulu and Tsavo we were visited by a guest lecturer, the leader and founder of Hikemaniak, in Dr. Kendi Borona’s class, Human Dimensions of Conservation. 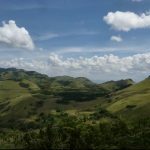 Hikemaniak is a tourist company, catered to Kenyans, that specializes in hiking the Kenyan landscapes to see waterfalls, mountains, valleys and so much more. It was refreshing to hear about a company not centered around wildlife, and not geared towards a foreigner. In another one of Kendi’s classes we watched a few video promos that focused on tourism, including one that showed the beauty of Kenya with a chorus of singers spread throughout it, and not one animal featured. Learning of these has helped me to see Kenya and East Africa as much more than just a place to view wildlife - it’s an astounding landscape that exhibits many forms of tourism. Due to these experiences, my views of East African tourism have changed drastically, and I will definitely involve myself in a variety of tourist industries and outlets upon my return. In the United States one of my favorite things to do is go on hikes – short hikes, long ones, mountainous hikes, or flat ones, ones with views at the end, or just a walk in the woods. One of the best ways I have found to interact with nature in the U.S. is just to walk through it. Later on, in Tsavo, we had the chance to do another hike. This time the temperatures fit more closely to an almost equatorial standard, but that didn’t matter. 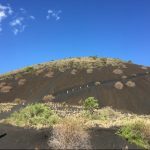 We walked on the edge of a pile of volcanic rock, winding around the mound until we reached the top and glared over what felt like the entire Amboseli-Tsavo Ecosystem. From above, we saw a few buffalo off in the distance, disguised within the bush, but up there it was just wind, landscape and rocks. And it was beautiful. Kenya is so much more than just wildlife. I felt as though we were experiencing something an East African tourist would never see. 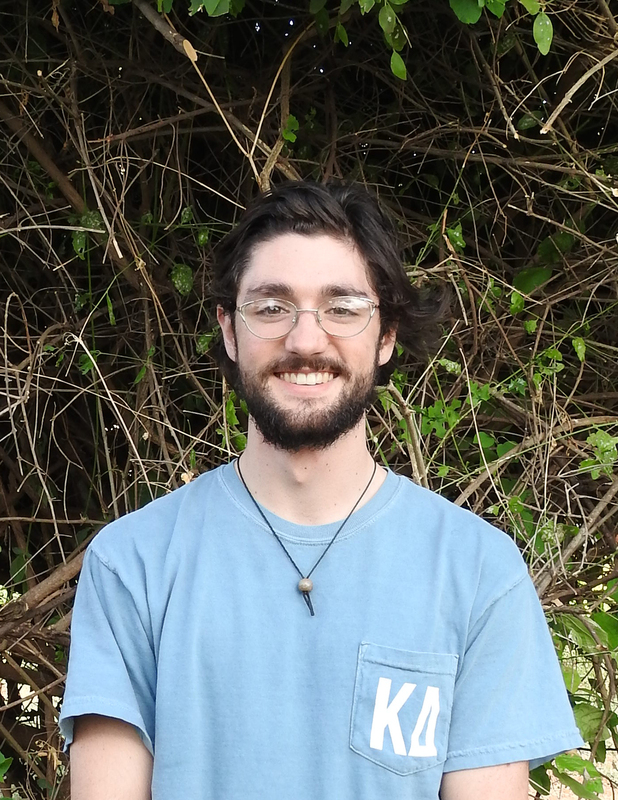 After our trip to Chyulu and Tsavo we were visited by a guest lecturer, the leader and founder of Hikemaniak, in Dr. Kendi Borona’s class, Human Dimensions of Conservation. 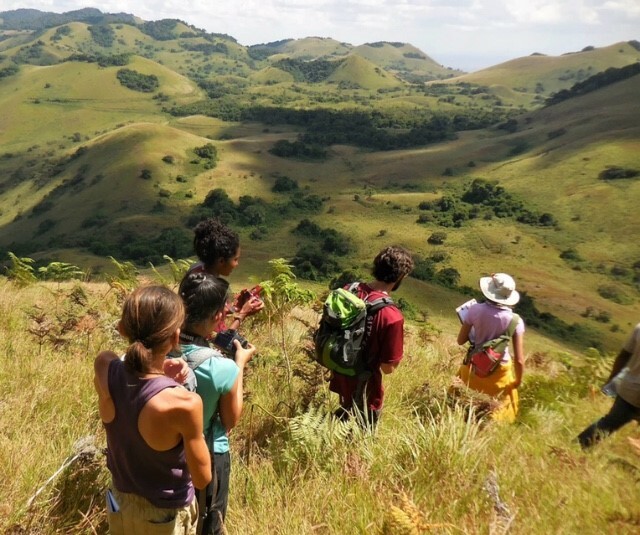 Hikemaniak is a tourist company, catered to Kenyans, that specializes in hiking the Kenyan landscapes to see waterfalls, mountains, valleys and so much more. It was refreshing to hear about a company not centered around wildlife, and not geared towards a foreigner. In another one of Kendi’s classes we watched a few video promos that focused on tourism, including one that showed the beauty of Kenya with a chorus of singers spread throughout it, and not one animal featured. Learning of these has helped me to see Kenya and East Africa as much more than just a place to view wildlife – it’s an astounding landscape that exhibits many forms of tourism. Due to these experiences, my views of East African tourism have changed drastically, and I will definitely involve myself in a variety of tourist industries and outlets upon my return.